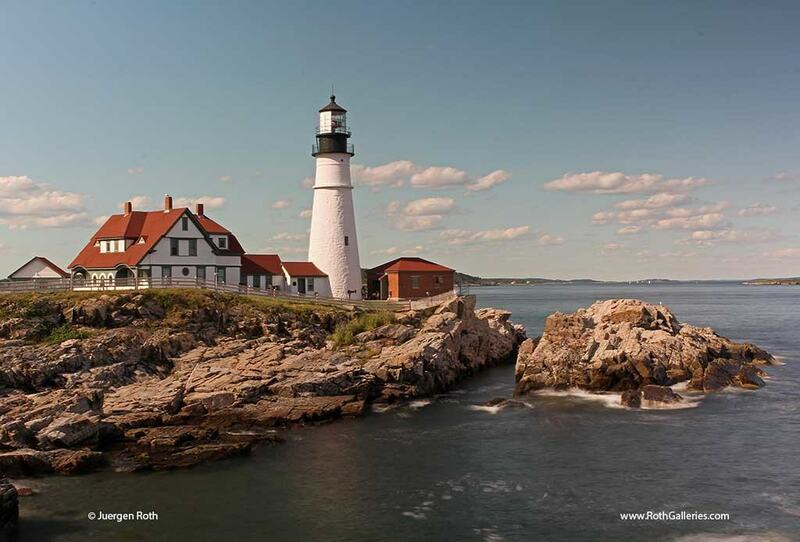 A Guide for Better Lighthouse Photography, using the stunning Lighthouses Of New England as examples for this tutorial. This article compiles some of my recent lighthouse photos, accompanied by practical photo tips for photographing lighthouses, including what equipment you will need; the best time of day for shooting etc. 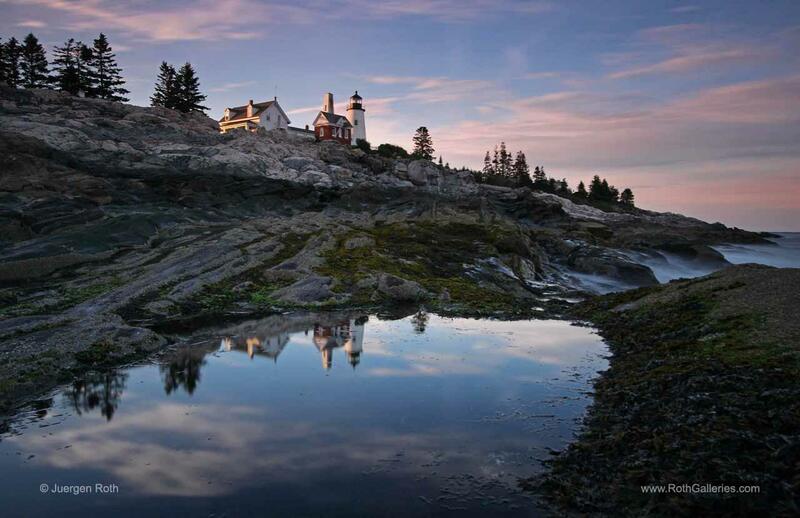 New England lighthouses are iconic and a favorite seascape photography subject among many local and travel photographers. They appeal to old and young because a lighthouse is often located atop cliffs and along rugged coastal areas providing instant drama. 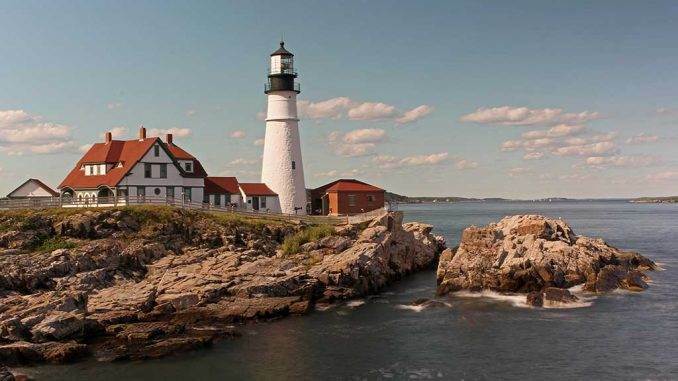 New England has nearly 200 lighthouses marking dangerous coastlines and safe entries to harbors on the scenic shores of Rhode Island, Connecticut, Massachusetts, New Hampshire, Vermont and Maine. I love photographing lighthouses and frequently head out at dawn, dusk or night to capture them. Some are rather easy to reach while others take a certain amount of exploration and effort to set up tripod and gear to take home a spectacular composition of coastal New England. What Photo Equipment Should You Bring For Lighthouse Photography? 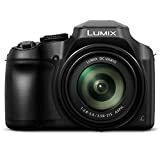 Which lens to use for lighthouse photography is one of the first decisions we make as photographers when we determine a spot worthwhile setting up at. A wide-angle lens is your first choice when striving to capture a lighthouse setting with the entire coastal scenery or when photographing a lighthouse under a sky full of stars. The mid or telephoto lens makes for a more intimate view of a lighthouse and is ideal to highlight architectural details. A solid tripod is necessary to take photos of lighthouses at dusk, dawn or night. Exposure times are longer and hand-holding is not an option for a quality photograph. I personally use a tripod whenever possible, even when light conditions provide faster shutter speeds. The polarizing filter eliminates unwanted glare on the ocean water or wet surfaces along shoreline. It also boosts color saturation and lengthens exposure times which may be sufficient to create Silky Water Effects. Split neutral density filters balance darker foregrounds against the brighter sky which is critical to obtain the best possible photo with your camera. Neutral density filters lengthen exposure times to multiple seconds, minutes or even hours depending on their strength. The 10-stop big stopper from Lee is a great tool to have available and it allows creating long exposure photography images. What Time of Day and Season to Photograph? 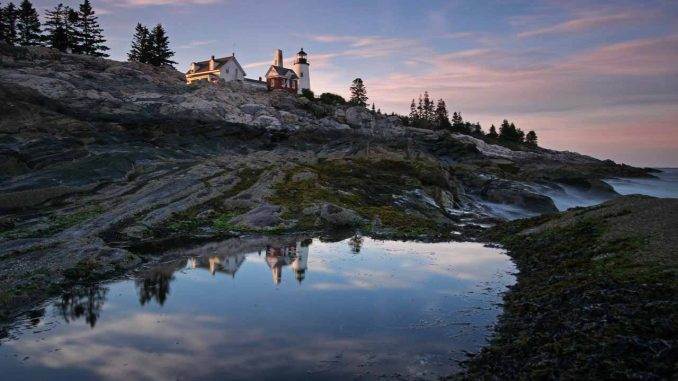 Any New England season of the year can yield stunning lighthouse photos. All 4 seasons have days of blue skies with beautiful cotton candy clouds that can be used for picture perfect images. August is the height of hurricane season and may provide wild waters that pound the New England shoreline. Summer, fall and winter storms produce dramatic lighting and furious ocean waters as well. Quietly sparkling snow in winter creates magical scenes along the New England coast. New England reawakens in spring and revitalized fauna can be incorporated into attractive foreground features that invite the viewer into the frame. However, light is the crucial factor for great photography. 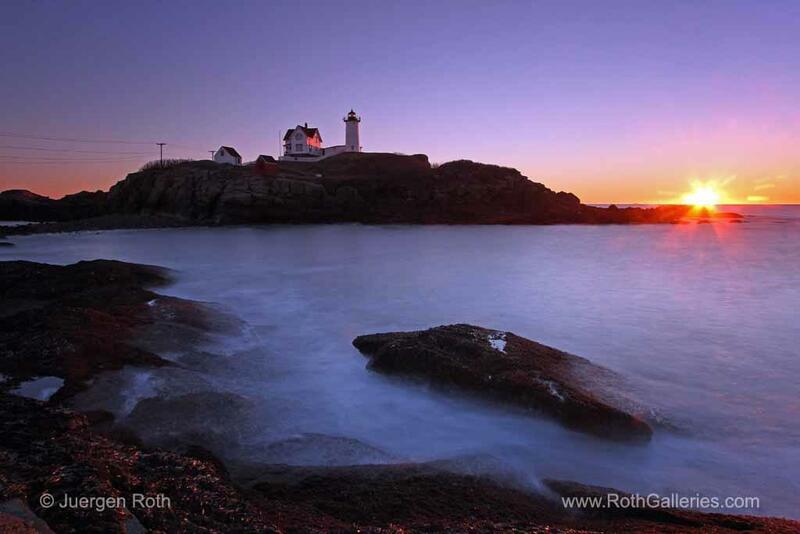 The early morning or late evening light provide the best times for photographing lighthouses. The low angle of light at those times paints the sky, seascape and lighthouse in beautiful and warm hues. 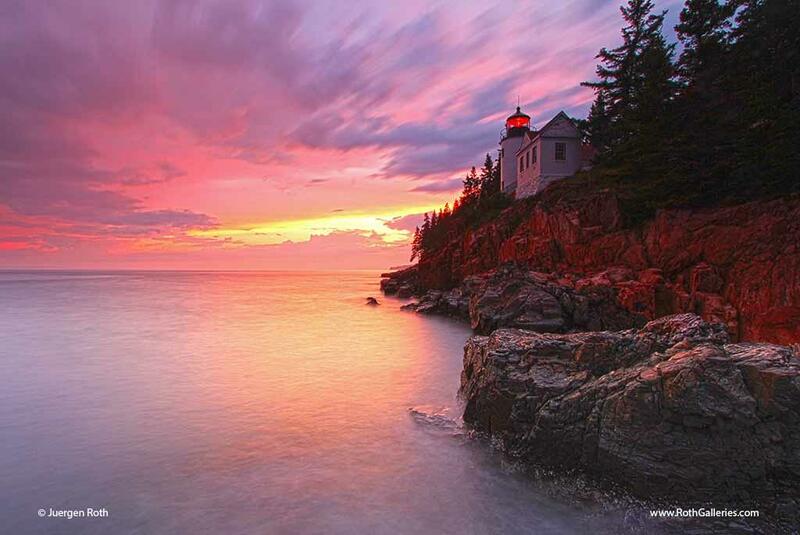 The light sets clouds and sky on fire providing a stunningly beautiful backdrop for a lighthouse. Don’t hesitate to explore lighthouse settings on a stormy day. New England is famous for its dramatic skies during or shortly after a storm passes through. The sea may be wild and furious making for compelling pictures. No matter what time of day or season you head out photographing lighthouses, safety should be on the top of your list! 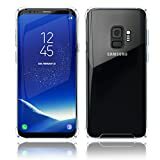 Be aware of slippery surfaces and a stormy sea that may create massive waves that can catch you by surprise when setting up too close to the edge of the ocean. 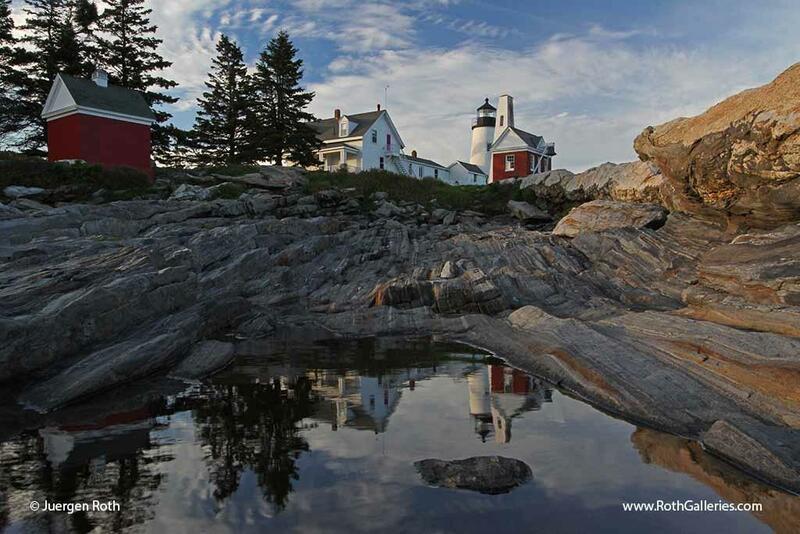 Where to Photograph New England Lighthouses? 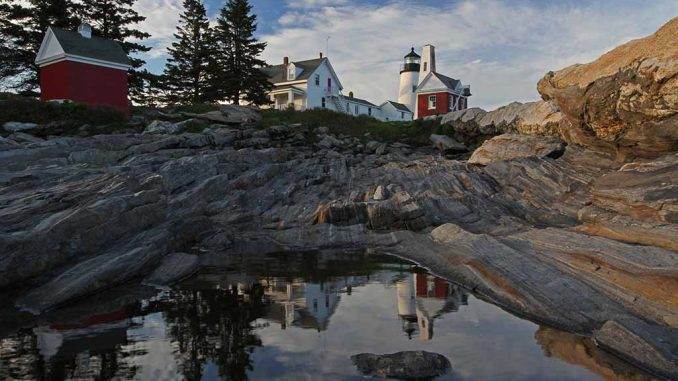 Some of New Englands’ most scenic and iconic lighthouses are located in Maine and in Massachusetts. 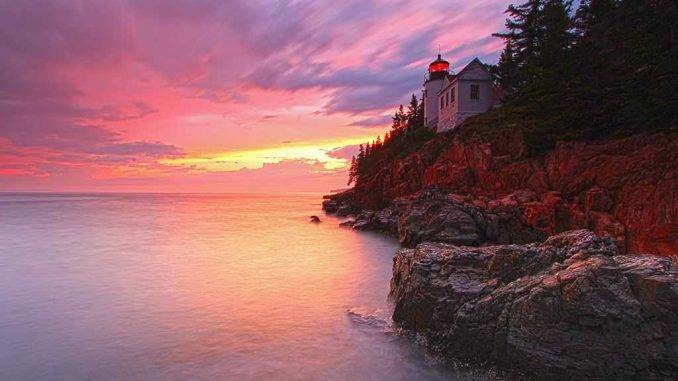 Acadia National Park is famous for Bass Harbor Light and the Boothbay region features the scenic Pemaquid Point Lighthouse. 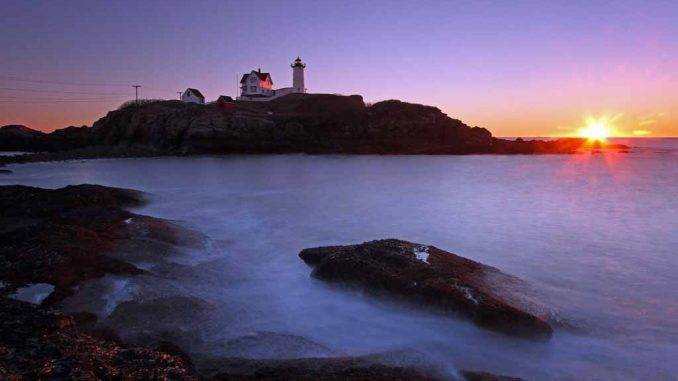 The Portland Headlight is dramatically located atop cliffs near Portland and further south the Cape Neddick Nubble Lighthouse makes its splash along the Atlantic Ocean. Cape Cod features a number of beautiful and historic lighthouses: Point Race lighthouse at the tip of the Outer Cape, Highland Lighthouse in Truro, Nauset Light in Eastham, Stage Harbor Lighthouse near Chatham. Martha’s Vineyard has Edgartown Lighthouse and Gay Head Lighthouse atop the famous clay cliffs in Aquinnah. How to Compose a Lighthouse Image? Lighthouses are tall, vertical structures located at the edge of the water accompanied by dramatic cliffs, rock formations and sea views. The lens choice determines your composition a great deal. The wide-angle lens features the lighthouse in its natural setting and when effectively used conveys its perseverance against the unforgiving sea. 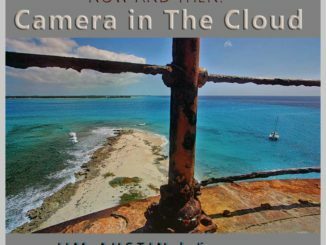 This lens may also be used up close and straight up to point out the dominance of a lighthouse structure. The mid and telephoto lens creates more intimate seascape compositions. The telephoto lens comes in handy when photographing a remote lighthouse from a far distance. This lens compresses a sea view and, effectively used it makes a lighthouse appear in much closer to the shoreline resulting in a more interesting composition. The white or red beacon of light provides a visual anchor for the viewer and should always be part of a successful composition. Either lens can be a creative tool when focusing on an interesting foreground such as beach grass or flowers while the lighthouse falls out of focus providing a soft backdrop; thereby awakening emotions of hope and human ingenuity. New England provides great opportunities for lighthouse photography. 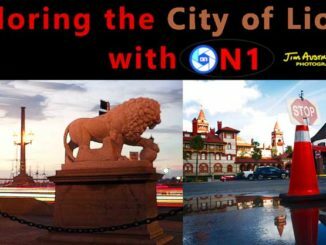 If you live in the area plan day or weekend photo tours for visiting at best times of the day. 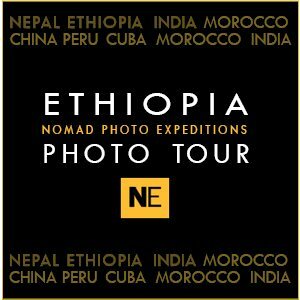 If you visit from other parts of the United States, Canada or around the world consider planning a photo road trip from coastal Maine way up north to Cape Cod in Massachusetts down south. It would be amazing! 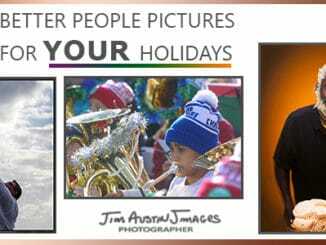 Good work here, enjoyed your published and fine images, Juergen.